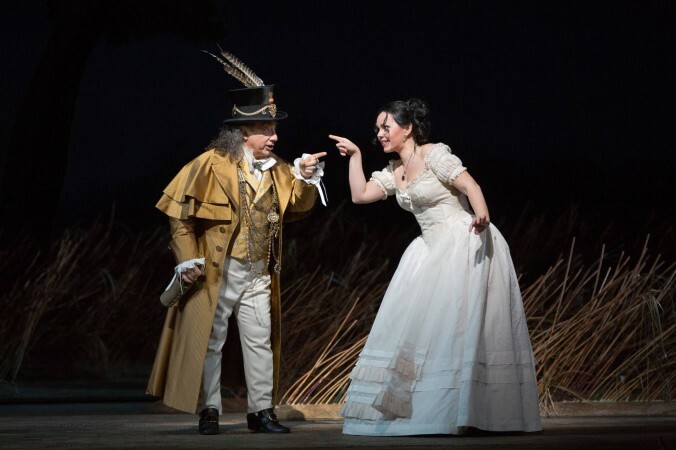 Gaetano Donizetti’s comic opera in two acts premiered in Milan in 1832, but L’Elisir d’Amore remains as crowd-pleasing and entertaining today, especially in the Met’s beautiful production. 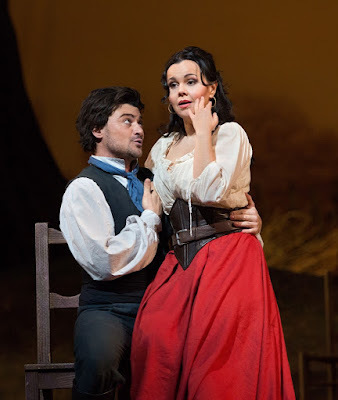 Italian peasant Nemorino (Vittorio Grigolo) is desperately in love with well-read landowner Adina (Aleksandra Kurzak), but she’s a perpetual flirt, currently taken by visiting soldier Belcore (Adam Plachetka). The love triangle plays out against Michael Yeargan’s gorgeous sets, reminiscent of nineteenth-century landscape paintings in their composition. It’s a sort of comedic Far from the Madding Crowd (1874), minus the death and heartache. 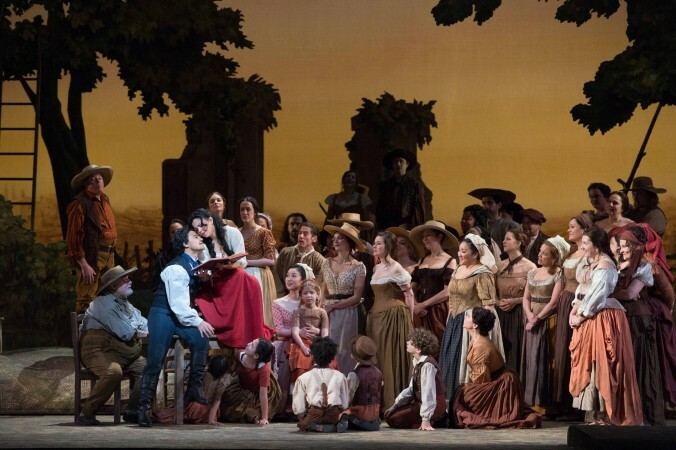 The only death here is offstage and brings Nemorino wealth and, subsequently, ridiculous levels of female attention, prompting Adina’s jealousy. The chemistry between the leads and the usual comedic misunderstandings keep the audience constantly engaged. It’s easy to follow without the usual rustling of programmes and whispered explanations. But the comedic heart of Donizetti’s opera, and this production, is Dulcamara (Alessandro Corbelli)—the travelling salesman whose miraculous elixir is fabled to cure all ills, even unrequited love. His aria, ‘Udite, udite, o rustici’, is a highly entertaining operatic sales pitch, and surely the inspiration for Stephen Sondheim’s ‘Pirelli's Miracle Elixir’ in 1979 musical Sweeney Todd: The Demon Barber of Fleet Street. Unusually for a comedy not all the misunderstandings are set right, not all the mysteries are unravelled. Dulcamara is never revealed as a fraud and his elixir is heralded as a miracle cure to the end, when young love’s trials have concluded satisfactorily. Grigolo’s performance was probably the standout in the matinee I saw, but Kurzak was also charming and the chorus made this a true ensemble piece, as Enrique Mazzola conducted. 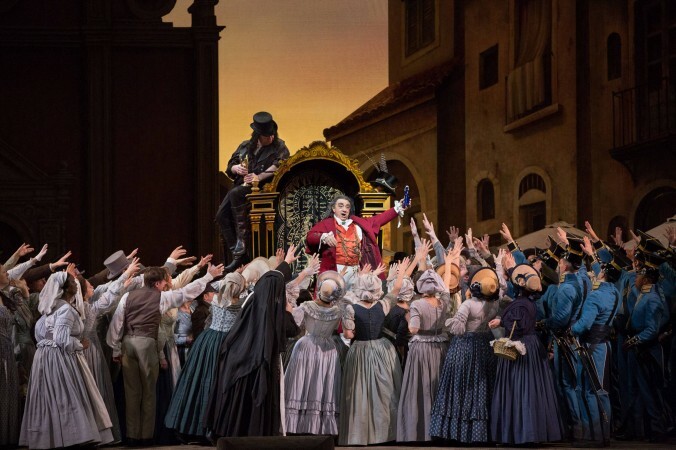 Adorable child actors, beautiful costuming, fine performances all around and settings that made you feel immersed in Italian landscapes: what more could you ask for in the middle of New York City? What productions would you like to see the Secret Victorianist review next? Let me know—here, on Facebook, on Google+ or by tweeting @SVictorianist. When you think of plastic surgery an image may spring to mind—of heavily botoxed celebrities, or subway commercials for breast enlargements, or Rachel Green pre and post nose job. 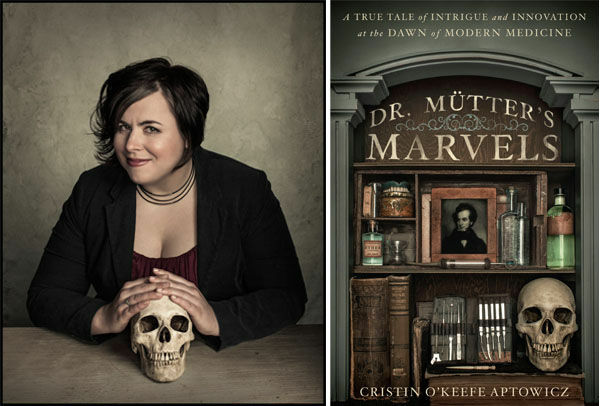 But Cristin O’Keefe Aptowicz’s engrossing biography of nineteenth-century surgeon, and a plastic surgery pioneer, Thomas Dent Mütter may make you think of the practice entirely differently. Mütter (1811-1859) lived in a time when those with ‘deformities’ were outcasts, when birth defects that are fixable today (e.g. cleft palates) determined the course of your entire life, when burns victims were ‘monsters’, kept hidden away from the world by their ashamed families, when terrible conditions in match factories led to ‘phossy jaw’—working class women suffering from painful abscesses, potential brain damage and, ultimately, if left untreated, death. And he brought them comfort. 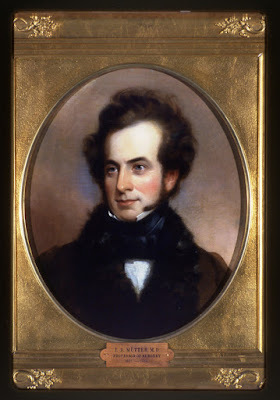 Mütter’s skill and surgical innovations transformed and saved the lives of many. He removed horns and unsightly tumours. He let burns victims turn their heads (and face society) again. He developed so-called Mütter flap surgery, a technique that survives until today, where flaps of skin remain partially attached to one area, while being grafted onto another, ensuring the body does not reject them. Aptowicz gives us Mütter the ambidextrous maverick, Mütter the innovator, who had the foresight to believe in the importance of hygiene in the surgery room and the crucial nature of patient pre- and post-operative care, and Mütter the teacher—he was the Chair of Surgery at Philadelphia’s Jefferson Medical College (now Thomas Jefferson University) from 1841 until 1856, when poor health expiated his retirement. But she also gives us Mütter the orphan, who made his way to Paris with very little money to learn from the century’s best physicians, Mütter the dandy, who always had a weakness for extravagant dress, and Mütter the collector, whose lifetime’s store of specimens and oddities went on to form the basis of the museum that now bears his name. Mütter’s story, and the history of medicine more generally, is revealing of many aspects of nineteenth-century American culture. There is, of course, the backdrop of racial tensions and impending civil war (his students would go on to be physicians on the battlefield on both sides of the conflict). There are the attitudes towards women—excluded from the medical establishment, while obstetrics is one of its most important branches, due to the high levels of maternal, and even higher levels of infant, mortality at the time. There’s a particularly gruelling section dealing with the realities of nineteenth-century abortion, and the case of Eliza Sowers, which would go on to have huge ramifications for the legal debate around termination and the ‘personhood’ of the foetus. To contrast with Mütter, Aptowicz spends a lot of time delving into the life and opinions of his fellow lecturer Charles D. Meigs, Chair of Obstetrics at Jefferson College, who was staunchly conservative in his views. 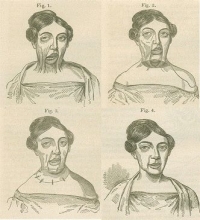 Unlike Mütter, Meigs refused to recognise the role doctors might play in contagion, even as his patients were dying from outbreaks of puerperal fever and his industry peers started to posit theories that would be proven by the advent of microbiology. Meigs also opposed the use of ether, the first anaesthetic (while Mütter was the first to use it for an operation in Philadelphia). He preferred to operate on his patients without any form of pain relief and delivered babies without it, even as women begged for relieving gas, as he saw labouring pains as a God-given trial for his female patients. 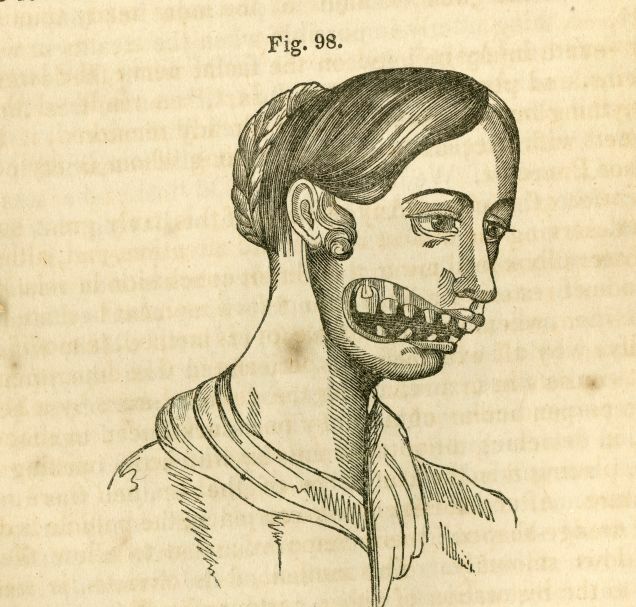 Aptowicz’s biography could have come off as macabre and voyeuristic, the literary equivalent of a nineteenth-century freak show, but throughout she remains true to the humanity of her subjects, using the same care with which Mütter treated his samples, which he often ‘saved’ from being seen as horrors to form part of his educational collection. But it’s a shame she hasn’t more information to delve into about Mütter’s personal life. While his views on medicine, and his personality as a teacher, come alive throughout, his relationships, especially with his wife Mary, are still shrouded in obscurity. Mütter died when he was forty-seven but his life had a profound effect on the medical establishment, his patients, his students and Philadelphia. ‘Ambition…is like the sun,’ he wrote. ‘It gives life and heat to all around.’ Aptowicz’s work shows us just how far ambition (if you were an educated white man) could take you in nineteenth-century America, in spite of poverty, ill health and bad luck, and how much we owe to pioneering doctors like Mütter in medical practice today. What would you like to see the Secret Victorianist read next? Let me know—here, on Facebook, on Google+ or by tweeting @SVictorianist. Jo said sadly, "We haven't got Father, and shall not have him for a long time." She didn't say "perhaps never," but each silently added it, thinking of Father far away, where the fighting was. Louisa May Alcott’s Little Women (1868-9) was remarkable on its publication for centring on the domestic cares and the trials and tribulations of a group of female characters—sisters Meg, Jo, Beth and Amy and their mother, Marmee. Becoming a ‘little woman’ meant facing hardships, taming your feelings and embracing self-sacrifice. The result is a beloved classic that is still read regularly by young girls and has been seen as one of the first representations of ‘all American’ femininity. Geraldine Brooks takes this well-loved work and examines the opposite side of the coin. If Alcott tells us this is what it means to be a woman at home, what does it mean to be a man at war, and, specifically, what did it mean to be a man on the side of the North in the Civil War? 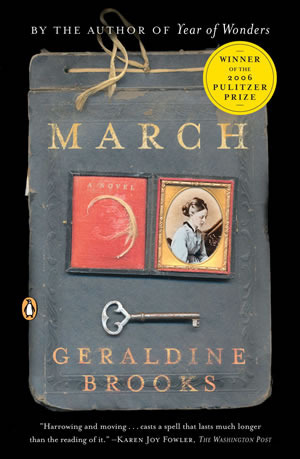 In March (Winner of the 2006 Pulitzer Prize), she takes the character of the girls’ absent father and constructs a parallel narrative to Little Women, forcing readers to confront the brutal realities of conflict, reassess the March household (in particular the parents’ marriage) and question the absolutism on many narratives concerning the North and its abolition of slavery. One of my main criticisms of Valerie Martin’s 2003 Property, which I reviewed in this same series on my blog, was its idealised view of Northerners when it came to questions of race. Brooks doesn’t fall into the same trap. Mr March himself is liberal (you might think unbelievably so until you realise he was based on extensive research into Louisa May Alcott’s father Bronson, a vegan educator and reformer). But he is an idealist at sea in a pragmatic world, where Northerners are more than happy to take over plantations to make their fortunes, mistreating former slaves, whose lives are just as hard and more endangered now that they are no longer slaves, but ‘contraband’. Grace is of course in a better position than many former slaves. She is well spoken and educated, due to being the illegitimate daughter of a plantation owner. But March’s life is actually saved by another black female character—Zannah. Zannah is mute (her tongue was cut out while a group of men raped her) and was totally illiterate until March’s arrival to teach on the plantation. Her inability to communicate provides a stark contrast to Mr March. Unlike Zannah, he has the tools of language at his disposal, but he is still unable to tell the truth in his letters—instead sending Marmee and the girls a highly edited, and at times falsified, account of his time away from them. This leaves Brooks with a plot problem. To be true to her source text, March must fall ill, prompting Marmee’s journey to Washington, and she can’t sustain this section in his first person. So, at the 200-page mark, we have a sudden shift of POV and continue the story from Marmee’s perspective. The change is a little abrupt, and not just in tone. Marmee’s narrative doesn’t seem to be so much about developing her own character as hammering home that March’s perspective is unreliable—that a marriage can be made up of misunderstandings and resentment on both sides. The result? The he said/she said at times feels a little overdone. But these quibbles over construction and execution are minor when compared with the overall genius of what Brooks has done, the scholarship of her research and the compelling nature of the story she has crafted from what was, in Alcott’s novel, an elision. March doesn’t comfort like the familiar pages of Little Women. At times, it appals and horrifies. But the novels could be read as equally didactic. For Alcott, being a good woman in the nineteenth century was a story of self-improvement and self-sacrifice. For Brooks, being a good man in the nineteenth century seems to involve recognising injustice, but also recognising your own powerlessness to fight it everywhere and that pursuing your ideals could mean you’re doing an injustice to the little women waiting patiently at home. Which novel should the Secret Victorianist read next as part of the Neo-Victorian Voices series? 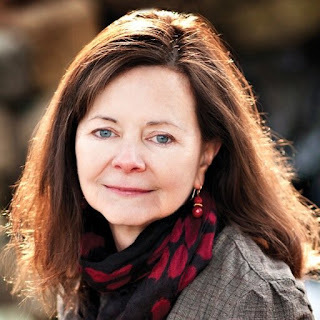 Let me know—here, on Facebook, on Google+ or by tweeting @SVictorianist! Labels: America, American, Australian, Geraldine Brooks, Louisa May Alcott, Neo-Victorian Voices, Neo-Victorianism, Race, Review, Valerie Martin, Washington D.C.